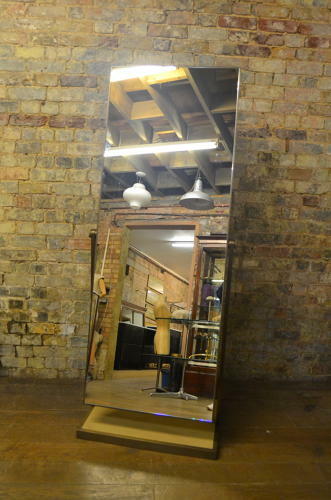 We have this fabulous cheval mirror at Binder's. It is bronze framed, and has white leather base and back. It is quite heavy and is in good usable condition - it would be fabulous in a retail or home setting, but would be ideal for a dressing room.